While in seventh grade growing up in what is now Uzbekistan, Anatoly Radyushkin’s uncle suggested that he study physics. The young Anatoly took up his uncle’s suggestion and before long was devouring physics textbooks. Radyushkin quickly realized he wanted one day to work in a field where he could make discoveries. And so the young man set out on a path that led to his becoming an internationally recognized nuclear theorist, first in Russia, and then in Virginia. Now, a physics professor at Old Dominion University in Norfolk and a senior scientist at the Thomas Jefferson National Accelerator Facility in Newport News, Radyushkin has earned many awards in his career. He added to his accolades in November 2015 when he received the 2015 Jesse W. Beams Research Award. The prize, awarded by the Southeastern Section of the American Physical Society, recognizes especially significant or meritorious research in physics, the major portion of which was carried out while the recipient was a resident in a 10-state region of the Southeast. The award has been presented since 1973 to honor those whose research led to the discovery of new phenomena or states of matter, provided fundamental insights into physics, or involved the development of experimental or theoretical techniques that enabled others to make key advances in physics. At Jefferson Lab, Radyushkin’s work involves theoretical studies of strongly interacting particles called hadrons – which include protons and neutrons – and are the building blocks of atomic nuclei. Hadrons are made of quarks, which interact with each other through gluons. Radyushkin studies quantum chromodynamics, or QCD, which is the fundamental theory that addresses the underlying structure of nucleons – the protons and neutrons that make up the nucleus of an atom. Nucleons are made up of quarks and gluons, which are referred to collectively as partons. He’s been studying QCD and its applications for more than 40 years, including QCD’s applications to parton distributions and form factors, which are the functions used to mathematically describe the structure of protons and neutrons. The Jesse W. Beams prize recognizes Radyushkin’s work in developing a theory of how the partons are distributed, or generalized parton distributions (GPDs). GPDs are a set of mathematical functions that allow physicists to obtain a 3-dimensional snapshot of the inner structure of the particles that make up the nucleus of the atom. Radyushkin’s focus is on a version called double distributions, or DDs, which combine three previously known ways of describing hadron structure. According to Radyushkin, the theory of GPDs has an impact on experimental programs at several institutions, including Jefferson Lab – and helped define the need for the 12 GeV Upgrade to the Continuous Electron Beam Accelerator Facility. Research into GPDs is giving scientists a glimpse of the structure and dynamics of the basic building blocks of matter. Radyushkin has made significant contributions to QCD, in particular, developments of the theory of Deeply Virtual Compton Scattering, according to University of Virginia physics Professor Brad Cox, chair of the Beams Award committee and recipient of the prize in 2014. For the development of GPDs, Radyushkin has won a number of awards and honors, including ODU’s Eminent Scholar designation in 1998, the Humboldt Award from the Federal Republic of Germany in 2001, and the Outstanding Nuclear Scientist Award from Jefferson Science Associates in 2015. In 2004, he was named a Virginia Outstanding Scientist by the Science Museum of Virginia and the Office of the Governor. 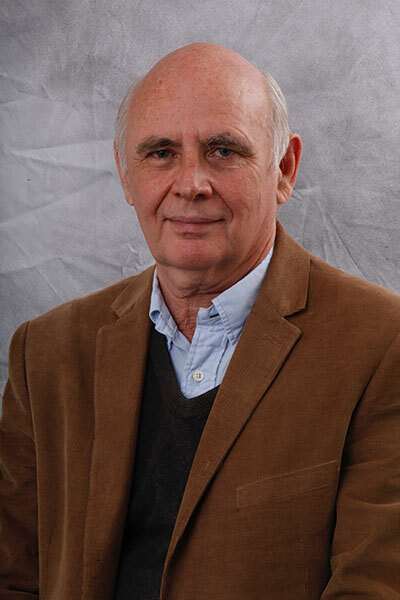 Radyushkin, a member of the Jefferson Lab Theory and Computational Physics group, completed his pre-doctoral work at Moscow State University in the Russian Federation, and received his Ph.D. in physics there in 1978. He’s been at Jefferson Lab since 1991, when he spent six months as a visiting researcher from the Laboratory of Theoretical Physics of the Joint Institute for Nuclear Research in Dubna, Russia. In 1992, he received a joint position shared by Jefferson Lab and ODU, and splits his time between teaching and research. He says he’s pleased to be working in the field he always wanted – and making discoveries. When he’s not teaching, he’s doing research, which he even does at home. Jefferson Lab is a world-leading nuclear physics research laboratory devoted to the study of the building blocks of matter inside the atom's nucleus – quarks and gluons – that make up 99 percent of the mass of our visible universe. Jefferson Science Associates, LLC, a joint venture of the Southeastern Universities Research Association, Inc. and PAE Applied Technologies, manages and operates the Thomas Jefferson National Accelerator Facility, or Jefferson Lab, for the U.S. Department of Energy's Office of Science. This article was posted in June 2016.